The breath of the Indian Renaissance, so long foretold, so long in coming, begins to blow in our faces; to whisper strange, half-heard secrets in our ears. Among the open-eyed children of the West, all hearts are turning towards India—to India as a land of old renown; to India, full of glamour and unforgettable beauty, of fierce strong life and quiet peace, when the warm breath of evening dimples the forest pools; but most of all to India as an ideal, as a land where the high meaning of life was deeply and truly felt. The Indian spirit has just begun to touch the West, like the first gentle breath of spring, a promise that the winter of our discontent, of low ideals and empty lives, will wither away with the melting snow. In these last days of winter, it is yet too soon for us to clearly see what the young life of spring will bring; but looking back over India’s long, bright history, we see two powers that may do more than all the rest to bring us back the sunlight, to kindle into a glow the Indian Renaissance that is yet rather a promise and a hope than a strong and adult fact. These two powers are the secret of the Upanishads, and the method of Buddhism. The first, from the long gone golden days of earliest India; the second, a cold light of the iron age—the winter twilight before night fell on the land of Nârada and the sages. The secret of the Upanishads is the inner light of the soul. The method of Buddhism is the recognition of unswerving, incorruptible moral law. The inner light of the soul, and the recognition of incorruptible moral law are the germs of new life that will kindle the Indian spring in our hearts. The secret of the Upanishads is as simple as life. The inner light of the soul, at first a faint monition through the clouds and darkness, a hope that is half fear, a hardly seen gleam, like the promise of dawn, growing brighter and gradually brighter, becomes at last the infinite light. The soul, growing with the light, at last becomes the Eternal; knows once again its immemorial oneness with the Eternal. Through our outward, habitual life of pleasure and pain, desire and disappointment, with its perpetually repeated, monotonous incidents, birth, ripeness, death, and again birth, ripeness, death—a new power quietly, almost imperceptibly, makes itself felt, till, growing stronger, almost imperceptibly, it gradually draws to itself the whole of life. The first spark of the inner light of the soul is, for the sages of the Upanishads, conscience; the inner sense of the trueness of things that “chooses the better, rather than the dearer,” that turns back from “crookedness, untruth, illusion.” The inward sense of the trueness of things, conscience, is the first step in all religion, the first fact of real life, and within the reach of every human being. Conscience is the deepest reality in human life; always the same in every age and every land; a mysterious law, not of our making, nor shaped towards our ends; rather a living power, perpetually present in our lives, standing behind us, as it were, guiding with a rightness and insistence not to be ignored, though we cannot turn and look our guide in the face. The deepest fact in human life, conscience, is also the most universal, the most immediately and directly verifiable. There are innumerable witnesses to the reality of this same silent guide, who stands behind us, whose presence makes itself felt, whether we will or no; who silently declares laws that are none of our making, but whose excellence we are ever compelled to acknowledge at the end. Even if we make of life a game of hazard, this master of the game, standing behind us, always wins at last. Of all facts in life, this is the best attested, by the best witnesses; and yet, after all, conscience is a fact that needs no witness, the inner sense of the trueness of things is its own evidence. When the “god-like voice that stops me, if I am about to do anything not rightly,” is heard, no confirmation of the fact is needed; conscience has an insistence that discards all other proof. When the sun rises, we need no one to tell us that it is day. In conscience, science and religion meet; science, because it is perpetually verifiable, a sound basis for the science of life; religion, because, though perpetually verifiable, it is still a mystery. Though we grow till our foreheads touch the stars, it is still above us; though our life expands throughout all space, it is still beyond us. Here, then, is the first part of India’s message, the secret of the Upanishads, the inner light of the soul. And in the Upanishads, one step more is taken beyond the sense of conscience, known to all true men in every land, and in that one step more lies the singular value of India’s message, its original power for vivifying and renewing life. Here is the singular secret of the Upanishads. The “power within us, that makes for righteousness,” is our Higher Self. This perpetually verifiable fact, conscience, at once scientific and religious, that lies at the very root of life, is the first admonition of our real nature. We are not really our personal, habitual selves, we are our Higher Selves, with their new, untried life and powers, and the growing knowledge and realization that we are really our Higher Selves, that our Higher Selves are really us, is the path marked out for our upward life. It has always been felt that conscience carries a sense of oldness, a sense of reaching far behind us; that it does not date from the day of our birth, but was there before; that however far we go back, we find it there before us, belonging to the old days before the beginning of things. Therefore, the inner light of the soul has always been called the Ancient, the Immemorial, the Ancient of Days. This consciousness of eternity grows at last to a knowledge of the eternity of consciousness. 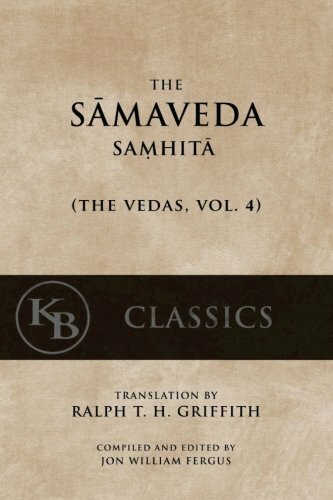 The sages of the Upanishads in the quiet dawn of the golden age, perfectly fulfilled the “law within that wars against the law of the members,” chose with bright willingness and confidence “the better rather than the dearer,” so completely obeyed their “brooding immortality” that the slave became one with the Master, the personal self was wrapt into the life of the Higher Self. In that unity with the “immemorial ancient” they learned strange secrets of the Higher Self; among others, that secret of its eternalness, its life “above the ocean of birth and death.” That life that saw the first quickening of new-born worlds, resting in quiet everlastingness, shall watch unmoved the worlds withering again into night. These secrets they learned; and that other secret, highest of all, that the Higher Self which we really are, which is really ourselves, is one with the infinite Life, is one with the Eternal. They learned that the “law within, warring against the law of the members,” the “god-like voice that stops me if I am about to do anything not rightly” is the voice of universal Life, flowing outwards and pressing against the barriers we had set up. These secrets they learned by walking on the old immemorial path, by making life a perfect unison with “the power within that makes for righteousness,” till at last they became one with the “brooding immortality,” and lived in the quiet everlastingness of the Higher Self that is one with the Eternal. If the secret of life is so simple, so immediately verifiable, so directly within the reach of every human being, where is the need for an elaborate philosophy? The reason is this. Shankara the Teacher used to say that we have three souls—the doubting soul, the wandering soul, and, last and highest, the affirming soul, which is nothing else than conscience, the inner sense of the trueness of things. And with us, the wandering soul has led the doubting soul such a journey that they have visited together every corner of earth and heaven, and woven over the clear sky such a veil of fancies that we can no longer see the sun. Here is the need for a sane, wide-spreading philosophy. We must bring the doubting soul and the wandering soul once more under the dominion of the affirming soul; and, thus ruled, they must again visit all the corners of earth and heaven, to disentangle the web of fancies they have woven before we can once more see the simple light of day. If we had always stood up simply, face to face with the universe, letting the affirming soul—conscience, intuition—rule and range the activities of the doubting soul and the wandering soul, the would be no need for wide-spreading philosophies. We should live simply from within outwards, in the quiet light of the Eternal. And, filled with this quiet light, we should manifest the powers and energies of the immortals, as naturally as the sun shines. But the harm is already done. Our doubting soul and wandering soul have already made their long journey. Taking the ideally simple elements of life, they have woven of them a network of marvellous complexity, a tangle thrice entangled, which needs our best energies to unravel, before we can once more face the universe of life in all simplicity and live in the quiet light of the sun. The children of the golden age compared life to a tree, rooted in the Eternal, and spreading branches downward through the worlds. But the tree of our life has manifested such incredible activity, putting forth branches on every side, that it is now one tangled mass, strangling itself through very luxuriance. These tangled branches, breaking away from sane simplicity, have burst forth in a thousand philosophies and theologies, whose wonderful luxuriance threatens to smother us. The endless tangle of our minds’ branches bears hardly any relation to the ideal simplicity of life; we must bring order to this luxuriance before the tree of our life can come back to health. To lay aside parables, the truth is that every part of our minds is so thoroughly sophisticated, that we must apply the healing process of a sound philosophy, and lay the feverish energies of the doubting soul and the wandering soul to rest before we can allow the healthy simplicity of the affirming soul—conscience, intuition—to restore us to natural life in the Eternal. Here is the need for the second part of India’s message—the method of Buddhism, with its recognition of unswerving, incorruptible moral law. Gautama, the Awakened One, applying to life the simple natural law that action and reaction are equal and opposite, that “whatever a man sows, the same shall he also reap,” showed how naturally the endless variety of the world, with its wearying monotony of birth, ripeness, death, and again birth, ripeness, death, flowed from the natural working of this simple law. Gautama showed how the mind’s energies and desires, unsatisfied and unexhausted at death, must—if action and reaction be equal and opposite—find their continuation and development in a further life; and if in this further life they are still unsatisfied and unexhausted, yet another life, or many others, must follow, till all seeds sown are reaped and harvested. Showing how life should be gradually fulfilled and perfected in the future, by the unswerving, incorruptible reaction that follows every action, Buddha applied the same simple thought to the past. If there be no effect without a cause, no reaction without an earlier action, then the effects and reactions of our present life must flow from the causes and actions of lives that went before. And thus the inequalities of life, the harsh difference between high and low, happy and miserable, find in difference of past action a simple natural reason, that commends itself to the simplest mind of man. We have but to apply this rule to all the forces of our minds, and we shall find again the note of life’s harmony, so long drowned by the confusion of verbal theologies and philosophies. If the inner light of the soul, the intuition, dawns before the tangled branches of the mind are straightened, before the web of illusions and fancies is swept from the pure sky, the soul will be led into a thousand fantastic errors, as a ray of sunlight falling on a crooked mirror breaks into a thousand fantastic reflections. These fantastic errors fill the verbal religions of every land, which paint strange gods and many of them, strange disharmonies of life, weird sacrifices and uncouth rites, instead of the quiet simplicity of the Eternal. The element of life in these countless religions, with their countless gods and countless rites, is the intuition of the Eternal, that lies, almost hidden, at their root. Their errors spring from the incredible activity of the doubting soul and the wandering soul, that break the single ray of the Eternal into a thousand fantastic gods, like a ray of sunlight falling on a twisted, crooked mirror. The twofold message of India: the method of Buddhism, with its recognition of unswerving, incorruptible, moral law, that gives expression to life in a harmony of births and rebirths; and the secret of the Upanishads, the inner light of the soul, that gradually illumines the chain of births and rebirths, gradually shows the soul its primeval oneness with the Eternal, and draws it out of the ocean of birth and death. In this twofold message we find the Indian Ideals that are to give birth to a new Renaissance, a new philosophy of birth and death, or rather a new and living knowledge of the old philosophy. Yet this philosophy, however pure, however developed, cannot give us a quite real and quite true picture of the Eternal, a fully coloured plan of the universe and the future that lies before each. For the only quite true explanation of the universe is the universe itself; the only quite real philosophy of the Eternal is the Eternal. Thus at the last we must meet the universe face to face; must stand up in the presence of the Eternal, and live life for ourselves. “Another may lift a weight from my head,” says Shankara the Teacher, “but only myself can satisfy my hunger.” Another may teach us to remove the false philosophies and theologies that hide the simplicity of the Eternal, may even teach us the theory of real life, but we must learn the practice of real life for ourselves. “Choose the better rather than the dearer”; Shreyo hi dhiro ‘bhipreyaso vrnīte.—Katha Upanishad, ii, 2. “Crookedness, untruth, illusion”; Jihnam anrtam mâyâ.—Prashna Upanishad, i, 16. “The godlike voice opposing me, if I am about to do anything not rightly”; ἡ μαντικὴ ἐναντιουμένη εἴ τι μέλλοιμι μὴ ὀρθῶς πράξειν.—Plato’s Apology of Socrates, xxxi. “Another law in my members, warring against the law of my mind.”—St. Paul’s Epistle to the Romans, vii, 23. “The power within us, not ourselves, that makes for righteousness.”—Matthew Arnold, Literature and Dogma. Wordsworth, Ode on Intimations of Immortality, from Recollections of Early Childhood. “The affirming soul, doubting soul, wandering soul”; Buddhi, Manas, Chitta.—Shankara ‘s Vivekachûdâmani, 95, 96.